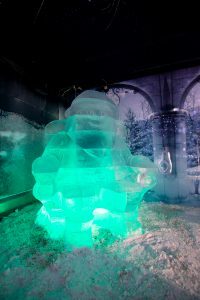 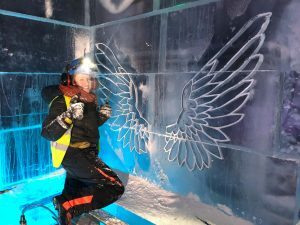 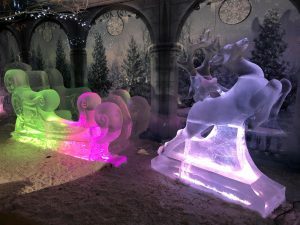 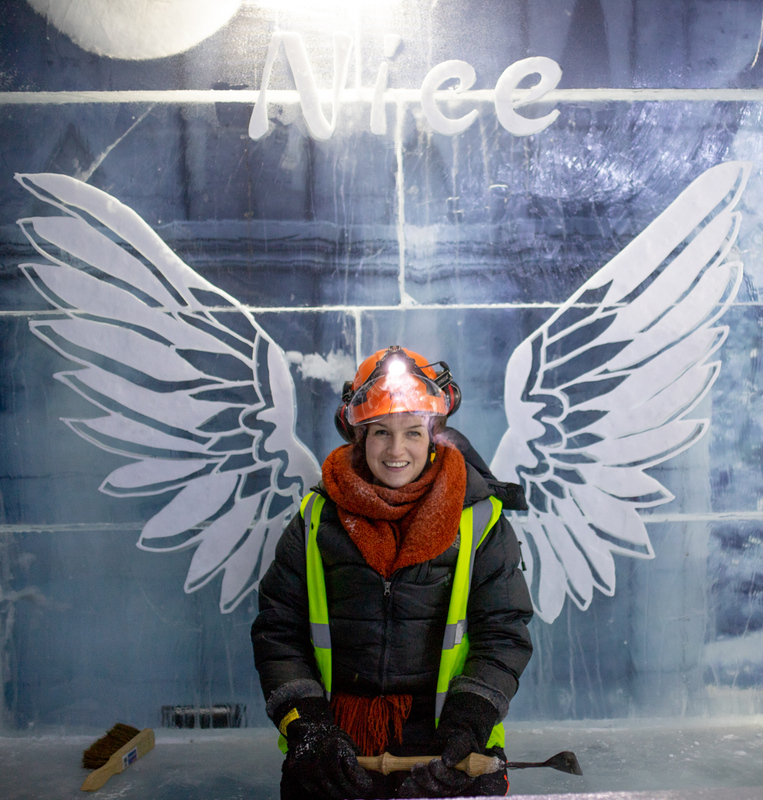 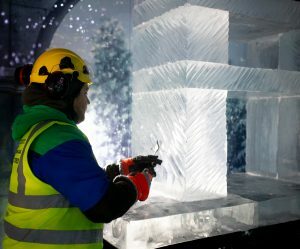 As professional ice sculptors, we spend a lot of winter making table top ice sculptures for parties, events and weddings but one of our favourite things to do is to create something interactive and immersive completely out of ice – like an ice bar. 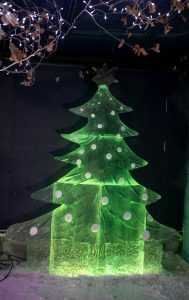 These are great fun to make and even more fun to visit when you are out for Christmas. 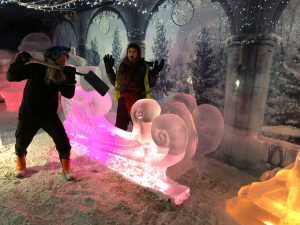 We have been lucky enough to make an ice bar for Nottingham Winter Wonderland and the Mellors Group for the last three years! 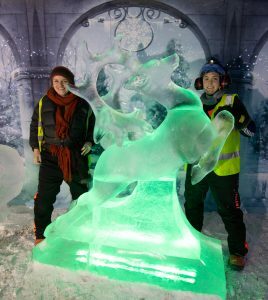 This year in Nottingham city centre we had an international team of ice sculptors. 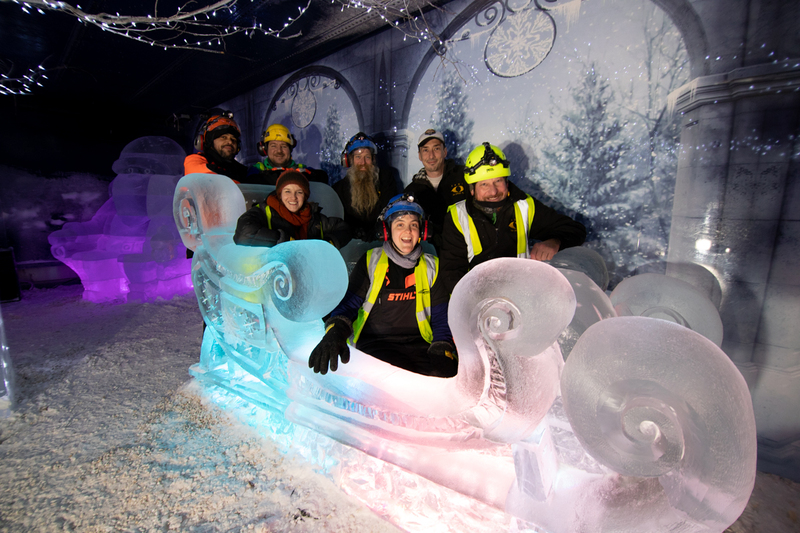 Jamie, Rich, Tom, Claire, Mark and Hannah travelled down the M1 from West Yorkshire but we were joined by Rodrigo from Portugal via London, Jussi from Finland and Jiri from the Czech Republic. 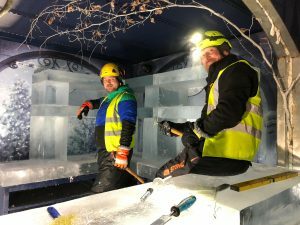 Jamie was very happy to invite Jussi and Jiri to work on the ice bar as he has not seen his ice sculptor friends for many years now, so was keen to catch up and reminisce on old times. 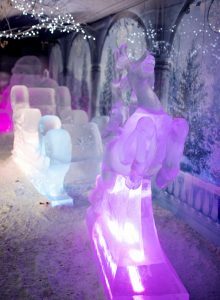 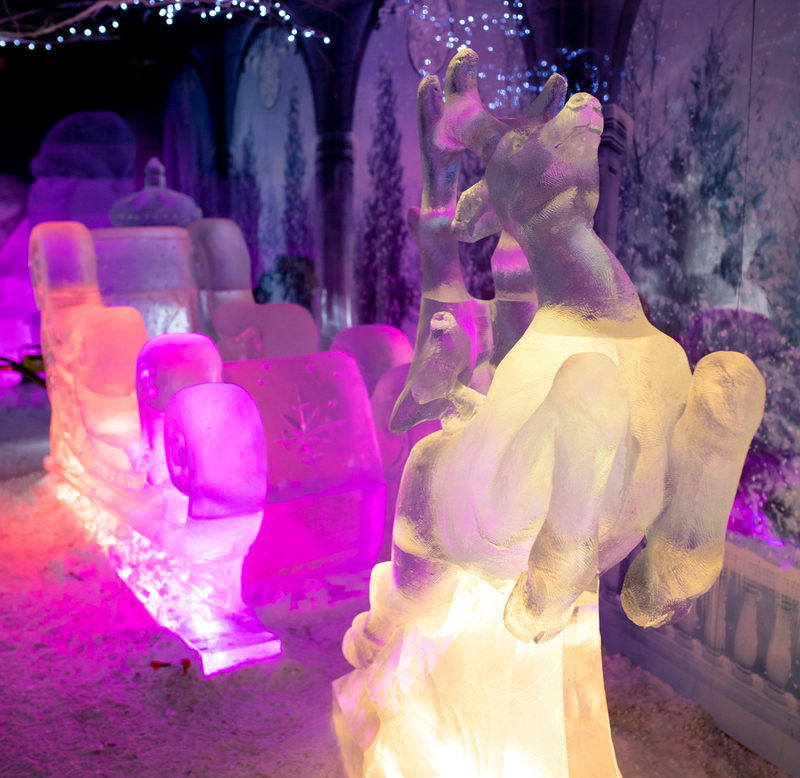 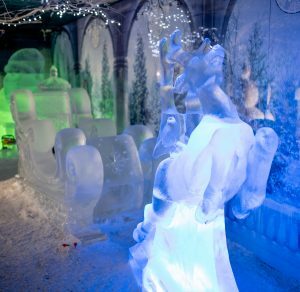 It’s lovely to see how Nottingham Winter Wonderland has grown and developed into a Christmas and family event over the last three years, and the ice bar has changed and evolved with it. 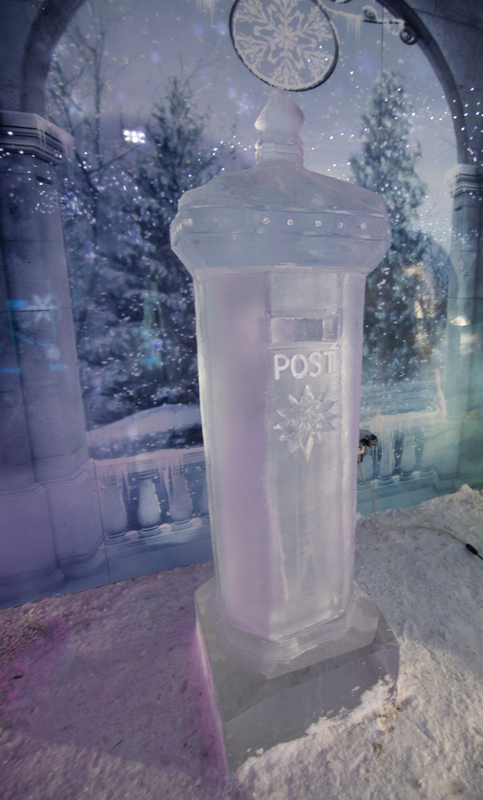 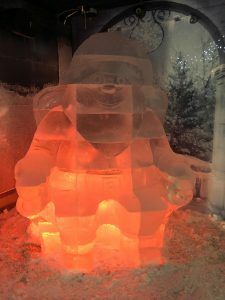 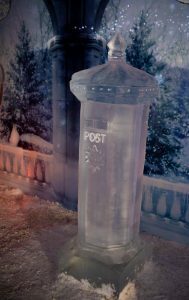 This year we focussed on interactive Christmas themed ice sculptures, such as a full sized sleigh that you can sit in, a post box where kids, and big kids can post their letters to Santa. 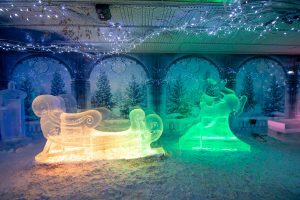 What will you ask Father Christmas for? 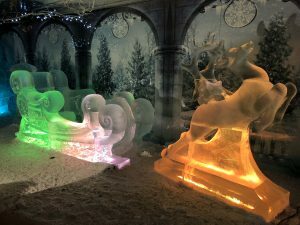 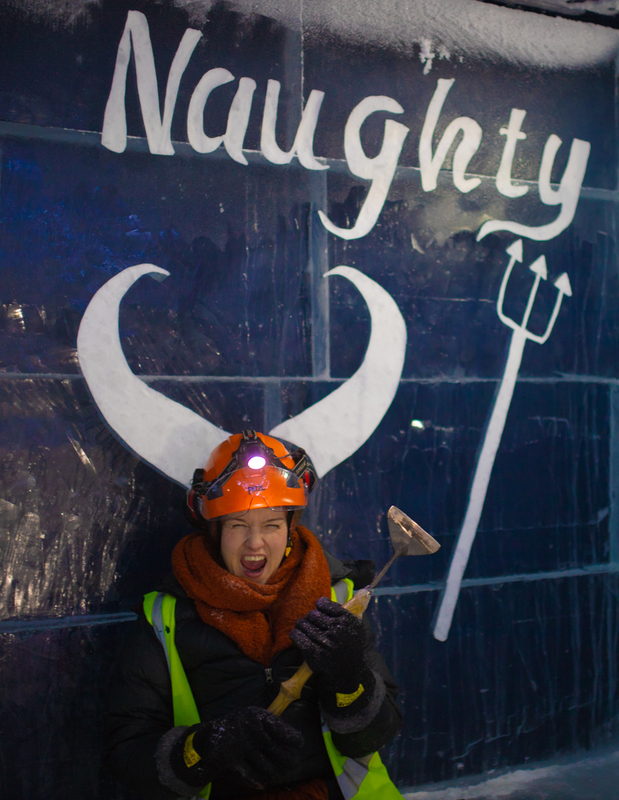 Some seating with angels wings or devils horns as a backdrop so you can decide with your friend who is the naughty one and who is the nice one – then swap half way through. 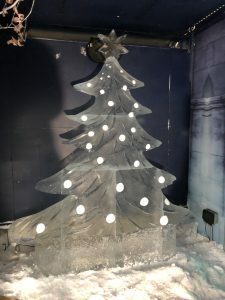 There will also be a giant ice Christmas card where you can stick your head through the snowflake and take a selfie and send to your friends as a Christmas card, and an enormous Santa Claus so you can sit on his knee and tell him what you want for Christmas. 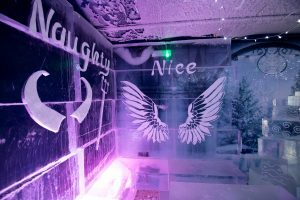 This is before we even started on the bar, which will be fully stocked and all drinks will be perfectly chilled in real ice glasses, unless you want some mulled wine of course. 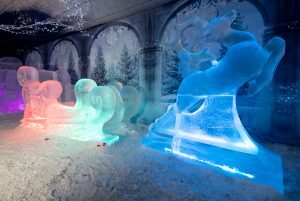 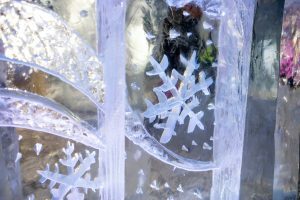 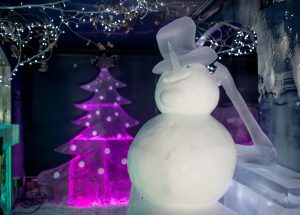 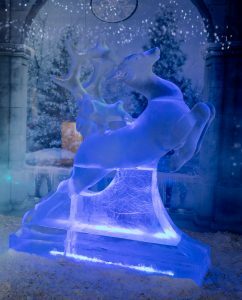 The ice bar is open as part of Nottingham Winter Wonderland from the 18thof November until New Year’s Eve (closed Christmas Day), you must purchase tickets for an hour long session at the gate or online. 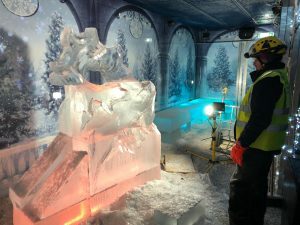 You can even hire the entire bar for up to 50 people for a party! 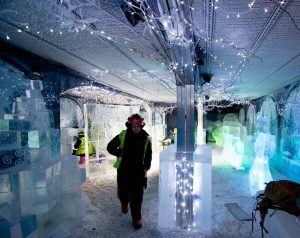 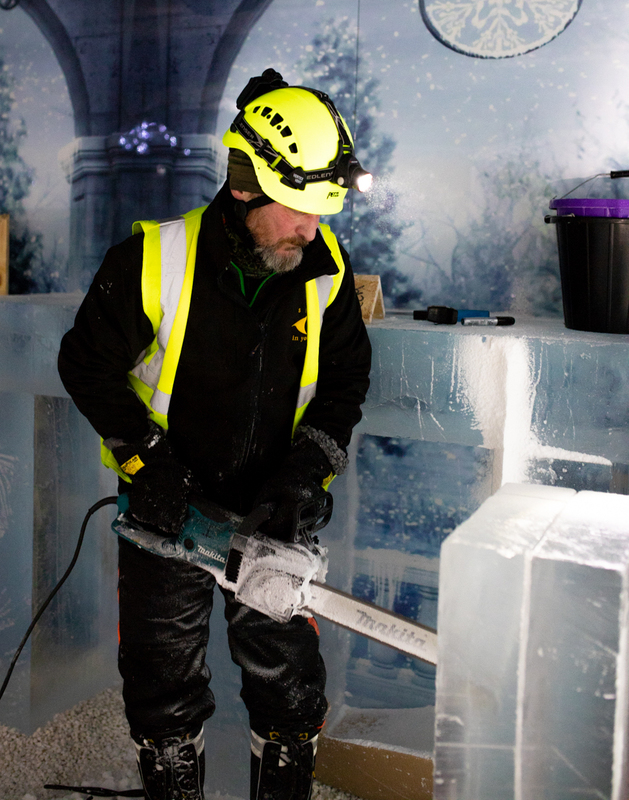 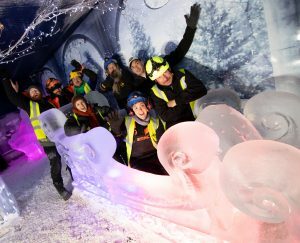 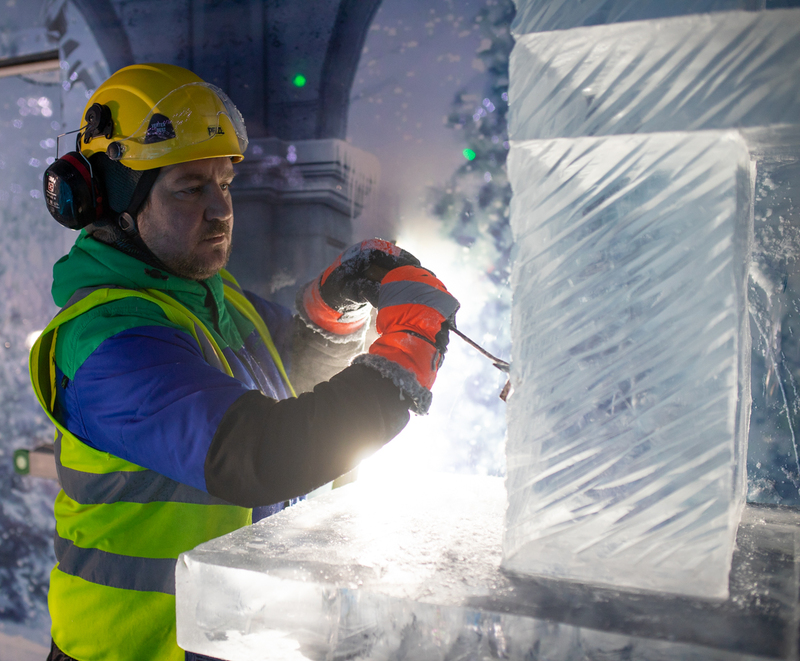 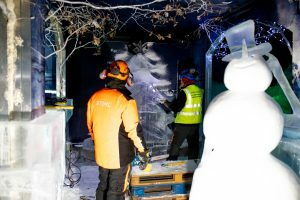 During the installation and whilst Nottingham Winter Wonderland is running the ice bar is kept at an extremely low sub-zero temperature, but jacket and glove hire is included in the entry price so you won’t get too cold! 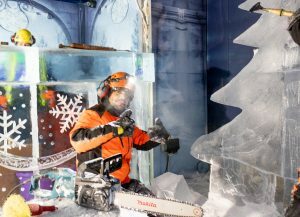 Nottingham Winter Wonderland is a great event, right in the city centre, it also includes ice skating, music and entertainment, fairground rides, a Christmas market and late night shopping in the city shops. 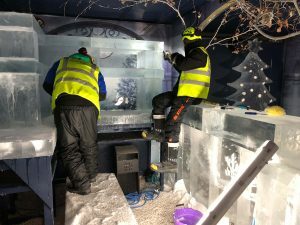 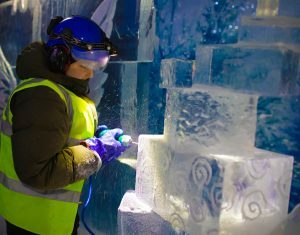 The build took 8 days to create and we used 13 tonnes of ice, which had to be delivered to site and stacked into blocks before being carved by our professional ice sculptors into shape and the fine details added. 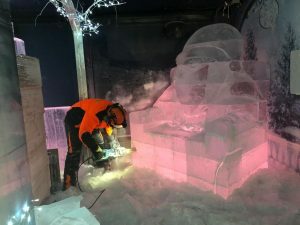 We are really pleased to be working with the Mellors Group again, we first met them at Beach East when we made a 60 tonne Bob the Builder sand sculpture, it’s nice to be able to work with them both summer and winter. 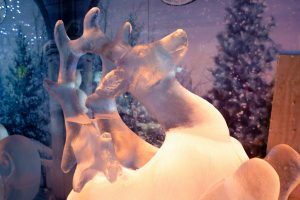 How many of Santa’s reindeer can you name?